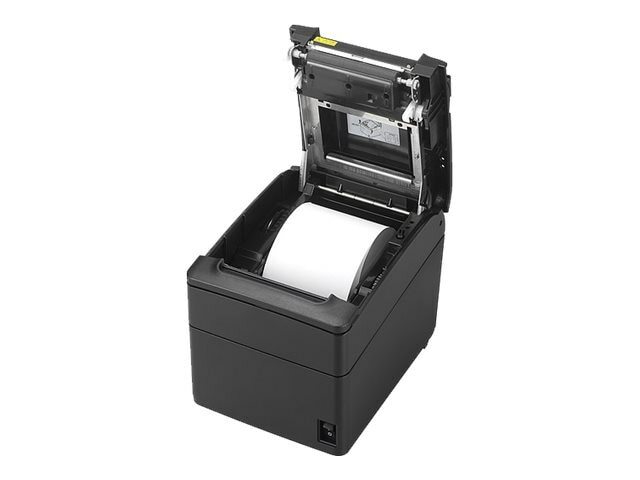 The RP-600 is a fast thermal printer solution for retail and hospitality. With a paper width of 58 to 80 mm and a printing speed up to 230 mm/sec it is rather flexible. The RP-600 is ENERGY STAR qualified and offers print options that reduce paper consumption up to 35%. The quality of graphic printings is improved by gray scale printing. Furthermore the print direction is rotatable whereby the fonts can be printed in different directions (right and up) which makes the print design unique and helpful for the customer to read the receipt. Because of the wide range of interfaces and drivers quick and easy installation is guaranteed and simple integration to POS environments is provided.